If you live in the Northern or Southern hemispheres of the globe, you can testify that the weather the past few weeks have been very temperamental. As I write this, a blizzard is sweeping through the East Coast of the United States while we in Australia are experiencing a series of heat waves. If you’re a naturalista living within the tropics, make room for me because I might just pack a suitcase and come hang out with you until this extreme weather has passed. In light of our geography and the current global weather forecast, it is imperative that we diligently keep our strands nurtured. In both extremely hot and extremely cold weather, the key to health and length retention is to keep our strands moisturized and sealed. 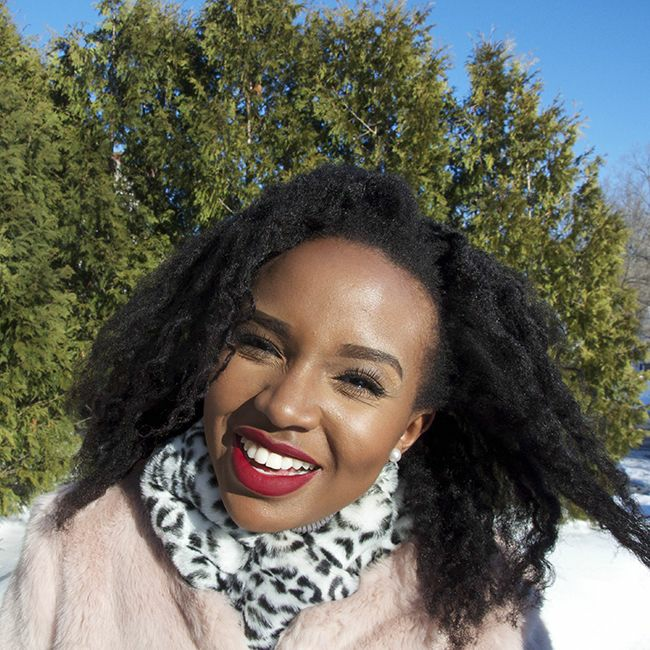 In extremely hot or cold weather, here's how I tweak my hair regimen for maximum hydration. This doesn't have to be a complicated process. I simply hop into the shower and drench my hair in water. I then apply my deep conditioner to the length of my strands and throw on my plastic cap. I deep condition for about an hour and then rinse off the product with some diluted apple cider vinegar, which helps close the cuticle. Afterwards, I seal my hair with olive oil in the summer but in the winter I reach for heavier butters and creams such as shea butter. The green house method is a common practice within the natural hair community and basically references the process of coating only the ends of your hair with deep conditioner and then covering them with a plastic cap overnight. This is particularly crucial for the ends of our hair, as these are the oldest and most prone to damage. When you wake up in the morning all you have to do is rinse of the deep conditioner, dab off excess water, and apply a light coat of olive oil to seal in the moisture. This has to be the oldest trick in the book. Surprisingly (or not surprisingly), our internal water levels affect the health of our scalp and consequently the state of our hair. If you’re suffering from a dry scalp due to extreme weather changes, you’re most likely dehydrated. Fill up on your water and you should notice a significant improvement. If you’re in the sun, wear protective clothing such as a hat, turban or bandana occasionally. Believe it or not if you’re outside for many hours during the day, the sun's UV rays can cause our strands to get discolored and excessively dry. Prior to stepping out, dab some avocado oil or macadamia oil on your exposed strands. Line your beanies and headscarves with satin. There are satin-lined beanies available on Etsy, but for the most part, all you need is some needle, thread, and satin cloth and this becomes a lazy-Saturday-DIY project. Satin is fantastic for extreme weather, because unlike cotton it doesn't absorb moisture from our strands. How do you tweak your regimen for extreme weather changes?